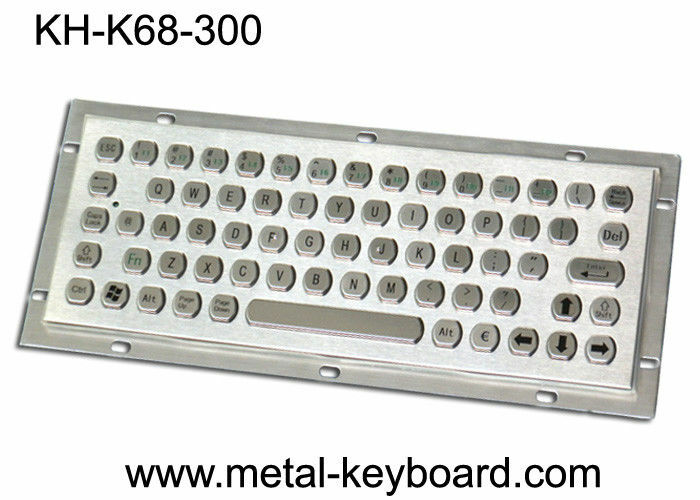 • Rugged stainless steel panel mount keyboard,68 Keys PC-Keyboard Standard Layout, IP65 Water-proof,dust-proof,Vandal-proof Performance, full-travel(2.0mm) keys. 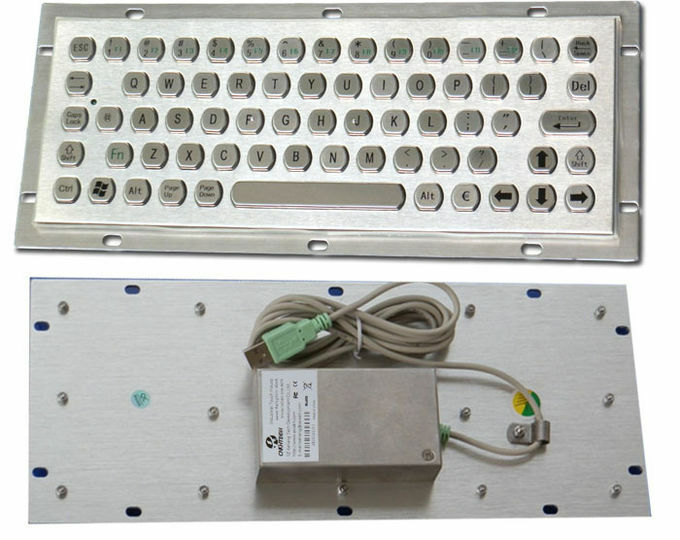 • Front panel mounting solution. • PS/2 and USB interfaces are available. • No driver needed, plug and play. • Rugged construction to ensure high vandal resistance. 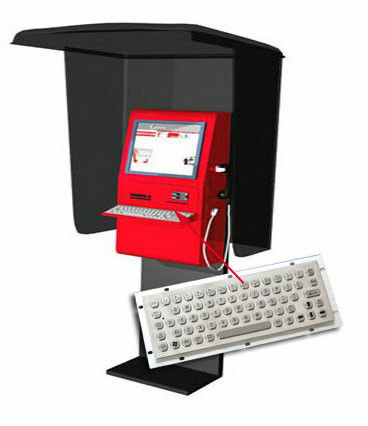 Vandal resistant Metal Kiosk Computer Keyboard with IP65 Water proof and long life, ideal for applications in the public areas and harshest conditions, such as Info-Kiosk, Internet Kiosk, Check-in Kiosk, Boarding Kiosk, Medical Kiosk, Industrial Control Platform, etc.